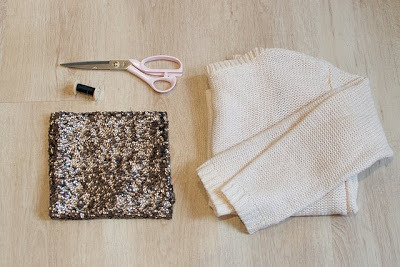 - Draw two oblong shapes on the sequin fabric and cut them out. 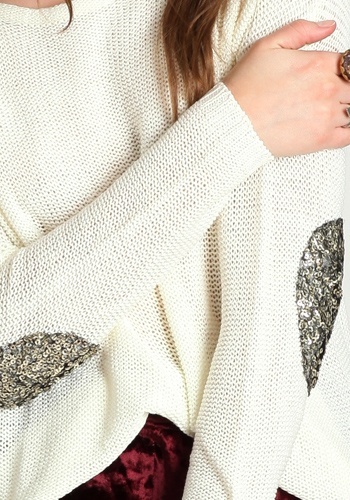 - Make sure the size of the shapes fits well on the sweater. 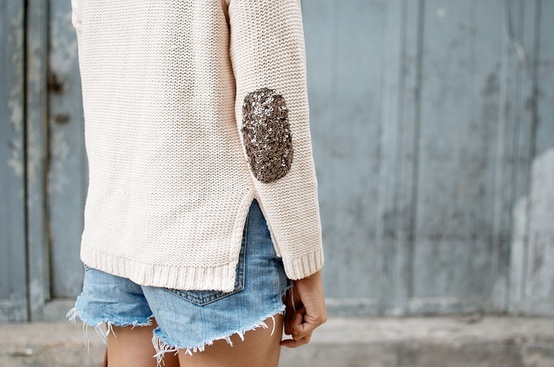 - Pin both pieces of fabric into the sweater to make sure they are properly located. - Stitch each piece of fabric on each arm of the sweater symmetrically. That's it! Now you have a new, super elegant piece in less than 15 minutes! Credits: Style Script, a pair and a spare, Tobi.